Formal alerts have been issued by Interpol for the suspected assassins of former Lebanese Prime Minister Rafiq Hariri. International police have issued formal warrants for the suspected assassins of former Lebanese Prime Minister Rafiq Hariri. Interpol, the international police agency, issued a wanted persons alert Wednesday in connection with the 2005 truck bombing that killed Hariri and 22 others in Beirut. The alert was issued on behalf of the United Nations Special Tribunal in Lebanon, which indicted four members of the Hizbullah terrorist organization in connection with the murders. Referred to as “Red Notices,” to alerts were circulated to all 188 member nations of the United Nations. They “include essential identifying information such as photographs and fingerprints of the wanted persons,” Interpol said in a statement. “The Red Notices can also be added to foreign law enforcement databases and border lookout systems to assist in the identification, arrest and transfer of the suspects to the tribunal,” the statement said. At present, the notices are restricted to law enforcement only, however, and have not yet been released for public viewing, the agency said. 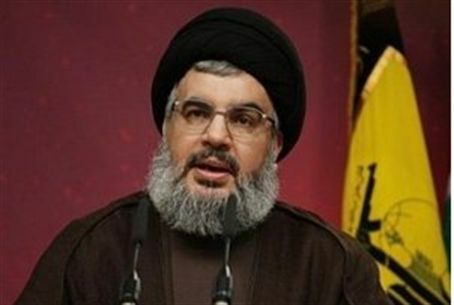 Hizbullah terror chief Hassan Nasrallah vowed in response that the tribunal would never be able to arrest the indicted suspects. “I don't think that they will be able to arrest [them] in one year, two, nor in 60 or 600 years,” he said in a speech delivered to followers in Beirut following the indictments. If the suspects are not caught and delivered to the tribunal within 30 days of the indictments, trial can technically proceed in absentia.